Due to well appearence, easy cutting, heat insulation and its strength, Sanliurfa stone has been a major shelter material for all of the cultures lived in Sanliurfa since ancient times. However, after the invention of concrete Sanliurfa stone lost its importance, and begin to mostly use for aggregate and crushed stone industry. In this study, superior engineering properties and polishing performance of stone Sanliurfa stone were examined, and income losses caused by using for aggregate industry was questioned, and economic analysis was conducted. In the study, economic analysis was added differently from studies in the literature. As a result; the engineering properties of Sanliurfa stone satisfy the international standard’s requirements, using as high valuable marble may 4-fold increase of the income, and Sanliurfa may increase its share in the Turkish marble production from 7% to 11%. Şanlıurfa taşı güzel görünümü, kolay kesilebilmesi, ısı yalıtımı ve dayanıklılığı sayesinde Şanlıurfa’da antik çağlardan beri yaşayan tüm medeniyetlerin en önemli barınak malzemesi olmuştur. Ancak, betonun icadından sonra Şanlıurfa taşı önemini yitirmiş ve çoğunlukla çimento sanayiinde agrega ve mıcır üretiminde kullanılmıştır. Bu çalışmada, Şanlıurfa taşının mühendislik özellikleri ve cilalanabilirliği incelenmiş, agrega ve mıcır olarak kullanılmasının neden olduğu gelir kayıpları sorgulanarak ekonomik analiz yapılmıştır. Çalışmada literatürde ki çalışmalardan farklı olarak ekonomik analiz eklenmiştir. Sonuçta, Şanlıurfa taşının uluslararası standartların gereksinimini karşıladığı, mermer ve plaka taş olarak üretilmesinin bu taştan elde edilen geliri 4 kat arttıracağı ve Şanlıurfa’nın Türkiye mermer üretiminde sahip olduğu %7’lik payı %11’e çıkartacağı sonucuna varılmıştır. Winkler E.M., Stone: Properties, durability in man’s environment. Springer-Verlag, Berlin, 313, 1973. Azzoni A., Bailo F., Rondena E., Zanietti A., Assessment of texture coefficient for different rock types and correlation with uniaxial compres-sive strength and rock weathering, Rock Mecha-nics and Rock Engineering 29 (1), 39-46, 1996. 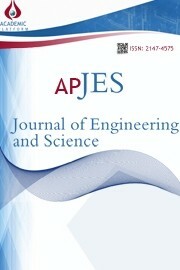 Singh T.N., Singh S.K., Mishra A., Singh P.K., Singh V.K., Effect of acidic water on physi-co-mechanical behaviour of rock. Indian Journal of Engineering and Materials Sciences 6, 66-72, 1999. Sharma P.K., Khandelwal M., Singh T.N., Variation on physico-mechanical properties of Kota stone under different watery environments. Building and Environment 42, 4117-4123, 2007. Ozcelik Y., Ozguven A., Water absorption and drying features of different natural building stones. Construction and Building Materials 63, 257–270, 2014. Turgut P., Yesilnacar M.I., Bulut H., Physi-co-thermal and mechanical properties of Sanliurfa limestone, Turkey. Bulletin of Engineering Geo-logy and The Environment 67, 485-490, 2008. Kulaksiz S., Agan C., Urfa (Harran) Bazda Ancient Underground Marble Quarying. The Pro-ceeding book of the 3rd Balkan Mining Congress (BALKANMINE 2009), ISBN= 978-9944-89-782-2, Izmir, Turkey, 683-689, 2009. Agan C., Investigation into the usage of Sanliurfa limestones in Turkey as underground storage cavern with regard to some engineering properties. International Journal of the Physical Sciences 6 (33), 7629-7637, 2011. Agan C., Yesilnacar M.I., Genis M., Ku-laksiz S., Ulusay R., Aydan O., Yucel M.D., A preliminary geoengineering assessment of Bazda antique underground quarries in Şanlıurfa, Turkey. The Proceeding book of the ISRM International Symposium: Rock Mechanics for Resources, Energy, and Environment (EUROCK 2013), Wroclaw, Poland, September 2013, 93-98, 2013. Zezza U., Physical– mechanical properties of quarry and building stones. In: Veniale, F., Zezza, U. (Eds. ), Analytical Methodologies of Damage Stones, Pavia. 1–20, 1990. Kaufmann O., Quinif Y., Cover-collapse sinkholes in the “Tournaisis” area, southern Bel-gium. Engineering Geology 52, 15–22, 1999. Bernd F., Kurt H., Kartierung und Bewer-tung von Verwitterungsschaden an Naturstein-bauwerken (in German), Zeitschrift Deutschen Gesellschaft Geowissenschaften 21, 7-24, 2005. Devos A., Sosson C., Lejeune O., Fron-teau G., Role des contextes geomorphologique et geologique dans l'abandon des carrieres de pierre du Lutetien autour de Reims (in French). Interna-tional symposium “Pierres du patrimoine euro-peen: Economie de la pierre de l'Antiquite a la fin du XVIIIe siecle en Europe”, 18–21 Octobre 2005, Chateau-Thierry, 64, 2005. Fronteau G., Moreau C., Thomachot-Schneider C., Barbin V., Variability of some Lute-tian building stones from the Paris Basin, from characterisation to conservation. Engineering Geo-logy 115, 158-166, 2010. Sariisik A., Sariisik G., Environmental inte-raction properties of marbles used in the restora-tion of historical monuments (Dalyan-Kaunos). Ekoloji 79, 12-19, 2011. Bednarik M., Moshammer B., Heinrich M., Holzer R., Laho M., Uhlir C., Unterwurzacher M., Rabeder J., Engineering geological properties of Leitha Limestone from historical quarries in Burgenland and Styria, Austria. Engineering Geo-logy 176, 66–78, 2014. Agan C., A preliminary study on the con-servation and polishing performance of Sanliurfa limestones as a traditional building material, Bull Eng Geol Environ 75 (1), 13-25, 2016. Canakci H., Demirboga R., Karakoc M.B., Sirin O., Thermal conductivity of limestone from Gaziantep (Turkey). Building and Environment 42, 1777–1782, 2007. Yesilnacar M.I., Cetin H., Site selection for hazardous wastes: A case study from the GAP area, Turkey, Engineering Geology, 81/4, 371-388, 2005. Kulaksiz S., Aydan O., Characteristics of ancient underground quarries of Turkey and Egypt and their comparison. 22nd World Mining Congress, Istanbul, 607–614, 2010. Bieniawski Z.T., Engineering Rock Mass Classiﬁcations. John Wiley and Sons, New York, 237, 1989. TS 1910, Dogal yapi taslari, Turk Standart-lari Enstitusu, Ankara, Turkey, 2005. ASTM C568 M-15, Standard Specifica-tion for Limestone Dimension Stone, ASTM In-ternational, USA, 2015. ASTM D5312 M-12, Standard Test Met-hod for Evaluation of Durability of Rock for Ero-sion Control Under Freezing and Thawing Condi-tions, ASTM International, USA, 2013. Ozisik M.N., Heat transfer-A basic appro-ach, McGraw Hill, ISE Editions, ISBN 13: 9780070479821, New York, USA, 1985. Kreider J.F., Curtiss P., Rabl A., Heating and cooling of buildings-design for efficiency. McGraw-Hill, ISBN: 9780078347764, New York, USA, 2002. ŞUTSO, 2015 yılı Şanlıurfa şirketleri üre-tim miktarları, Şanlıurfa Ticaret ve Sanayi Odası, 2016. Eraslan H., İpçioğlu İ., Haşit G., Erşahan B., Bilecik Bölgesi Mermer Sektörünün Uluslar Arası Rekabetçilik Analizi: Sektörel Sorunlar ve Çözüm Önerileri, Mustafa Kemal Üniversitesi Sosyal Bilimler Enstitüsü Dergisi, Cilt:5, Sayı:10, 193-217, 2008. Enerji ve Tabii Kaynaklar Bakanlığı, Doğal Taş Sektör Raporu, 2015. http://www.enerji.gov.tr/tr-TR/Sayfalar/Dogal-Taslar 	Arslan M., Demir İ., Kırşehir yöresi kırma-taş agregalarının mühendislik özellikleri, Gazi Üniv. Müh. Mim. Fak. Dergisi, Cilt:20, No:3, 335-346, 2005. Akbulut H., Gürer C., Atık mermerlerin asfalt kaplamalarda agrega olarak değerlendirilme-si, İMO Teknik Dergi, Sayı: 84, Cilt: 17, Yazı 261, 3943-3960, 2006. Demir İ., Uzun İ., Kırşehir-Kaman yöresi granitlerin kırmataş agrega olarak kullanılabilirlik özellikleri, Gazi Üniv. Müh. Mim. Fak. Dergisi, Cilt:22, No:3, 369-378, 2007.